Latest technology has made our life easier and comfortable.Gadgets are actually looking cool due to their small sizes and shapes. That is why all the upcoming gadgets are getting smaller and smaller. You will be happy to learn about the latest mini clothes dryer. This gadget provides you the opportunity to dry out your cloths anywhere you want. Mini clothes dryer is just a superb invention; you can dry your cloths out of the town, at home or in any hotel along your journey. This provides you to get fine and dry clothing. 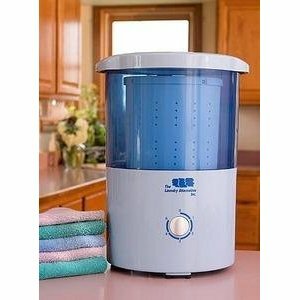 Mini Countertop dryer is a spin dryer that means that it removes more water from your clothes than an ordinary washing machine. If you want to do all of your laundry on your countertop then it is the best way to get this compact dryer paired with Wonder wash Mini washing Machine. This dryer can hold about 1-2 pairs of jeans according to its weight, so it can’t hold much clothes at a time. The cost price of this tiny dryer is $77.89 and you can get it through Amazon by placing a booking order. It is too difficult that you pump up volume level in your apartment when you are watching your favorite action movie or match because you cannot afford to go to cinema frequently to enjoy blockbusters unless you have handsome amount of money. Personal television and theater amplifier is a best choice for those who cannot afford a home theater system and are looking for something even cheaper. Personal television and theater amplifier seemingly amplifies sound from TV, radio or theater up to 50 decibels, coming in from of a wireless rechargeable earpiece. 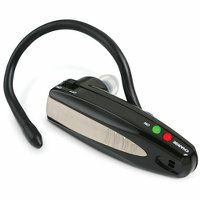 It has lithium-ion battery that supposedly powers earpiece operates for up to 18 hours after recharge of 4 hours. This is available in @29.95. Toshiba’s latest electronic innovation, UX600 LED TV has just announced a few days back. New Toshiba UX600 TV is coming in three different sizes of 40, 46 and 55 inches. It comes with interactive features and outstanding picture quality and unlimited entertainment. It does not support to connect with internet but also holds built-in Wi-Fi that makes it prominent among other LED TVs. The UX series includes 40UX600, 46UX600 and 55UX600. UX600 LED TV screen has 1080p of resolution. It enables you to experience great features and standards of new application and all demanded entertainment. It can save downloaded movies in Movie Library that keeps capacity to save over 3,000 HD movies and watch them anytime. You can create personalized channels for the data of your interest such as music and it is possible with audio applications including Pandora. It is a Net TV, so you can access your social network contacts (including Facebook and Twitter) and some video and image services (like YouTube, Flicker and Picasa). These features make Toshiba UX600 TV more prominent from other LED TVs and increase the chance to get good market share. 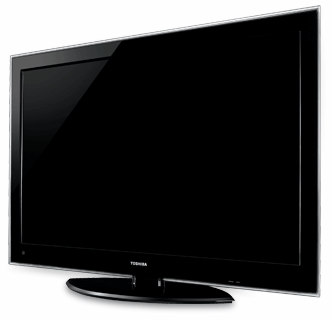 Toshiba UX600 series LED TV will be available to the customers from next month. Prices are $1,399.99 for 40UX600, $1,699.99 for 46UX600 and $2,499.99 for 55UX600. 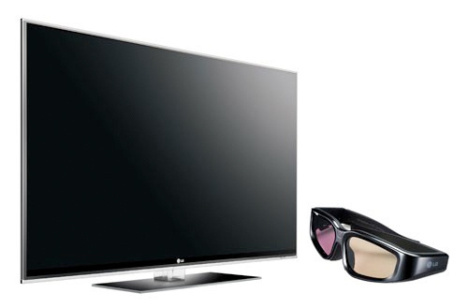 LG Electronics has announced LG LX9500 LED 3D TV that is going to be launched in coming May. LG that is the world’s No. 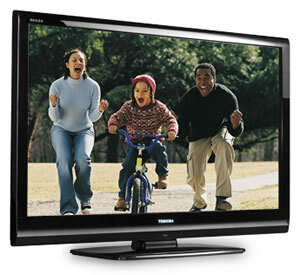 2 brand for TV, always introduced quality electronics with durability and perfection. New LG LX9500 is a smart TV with LED-blacklit, 22.3 mm thick screen and 16 mm bezel. It shows image in resolution of 1080p with great dynamic contrast ratio of 10,000,000:1 and excellent refresh rate of 400 Hz. Screen sizes range from 47 to 55 inches each models. A pair of active shutter glasses comes with each model. Highlight of shutter glasses is that when you wear it, it shows 3D effects on LG LX9500 screen. Moreover you will experience HDMI 1.4 ports, Wireless AV Link, USB 2.0, Skype and DLNA-ready with LG LX9500 TV. You have option to buy additional camera to use for Skype on TV. 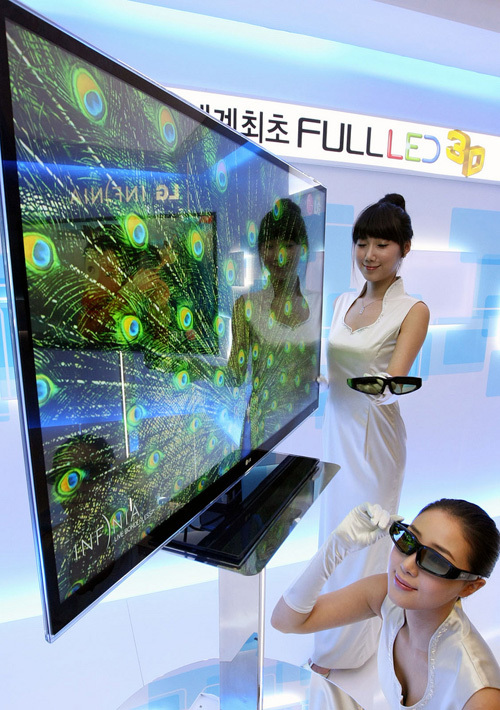 Sale of LX9500 LED 3D TV is going to start from early May in US, Europe and Korea. It is really innovative advancement of LG Electronics in TV product series. Internet access makes it more favorite to people. It will start selling at price of $4,112 starting from Korea market. Now it is more fun and easier o share the experience of bicycling accompanied with your friend. Electric Dual Seat Tricycle is made to especially for adults. If it runs on a battery with Electric Power Assist, it reduces the pedaling need and more comfortable riding up to more distance. Electric Dual Seat Tricycle holds two seats, four pedals and three gears that work independent of each other. This feature helps the people of different capacities, strength and sizes ride together. Even if there is no one to accompany you for riding, you can run it independently. Either one or two riders can run it comfortably and it is safe, reliable and fantastic riding idea. Seats are adjustable and easy to shift. Gears and steering can be controlled from either seat with equally ease and comfort. Three independent speed gears and breaks give you more control over the speed while riding. If you don’t want to do pedaling to long distance, you can use Electric Power Assist that is operated via battery. Its battery takes approximately 6 hours to recharge and runs up to 10 miles of distance range. 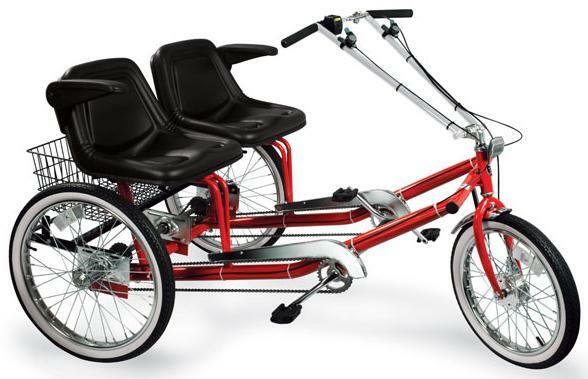 Dual seat Tricycle has multiple uses and advantages and perfectly ideal for couples for special riding needs. It can also be utilized for long distance rides as well as for exercise activities. Its weight capacity is 600 lbs. It is available at very affordable prices of $1,699 to $2,499.